Jennifer Lee, the director of Disney hits like Wreck-It Ralph and Frozen, has her next project. She'll next be directing an adaptation of the 1962 novel A Wrinkle in Time. 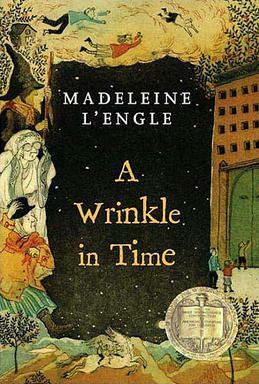 A Wrinkle in Time is a time-traveling tale, written 52 years ago by author Madeleine L'Engle, that follows two kids and their friend as they try to rescue the kids' captured dad from the Dark Thing. To do so, they travel through time to a planet called Camazotz.A TV film adaptation of the book in 2003 was panned by critics, and by L'Engle — who said "I expected it to be bad, and it is". But with (Jennifer) Lee behind the big-screen version of this latest Wrinkle, we can anticipate her rendition to be on par with her previous Disney projects.Lee also brought Disney's Wreck-It Ralph to life in 2012, and won Best Animated Feature for Frozen at this year's Academy Awards.